This is, more or less, how the story goes. Maya Devi, a pregnant queen living in what is now the Terai region of Nepal, was strolling along one day some 2700 years ago when she went into labor. 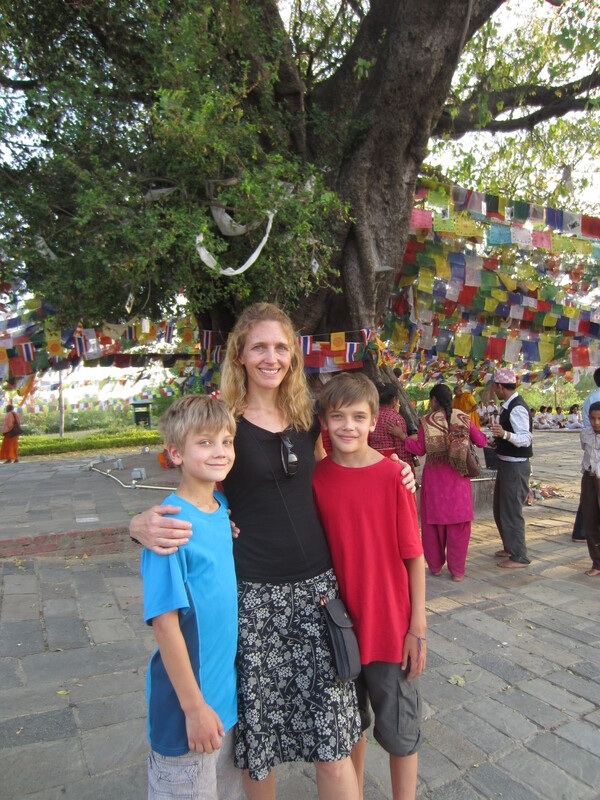 Soon after, she gave birth to a son as she stood with her arms around the branch of a bodhi tree. It turns out that this child, named Siddhartha, would emerge some 30 years later from his protected and privileged existence behind his father’s palace walls to seek the meaning of life. He succeeded in his quest and is now known as the Buddha. 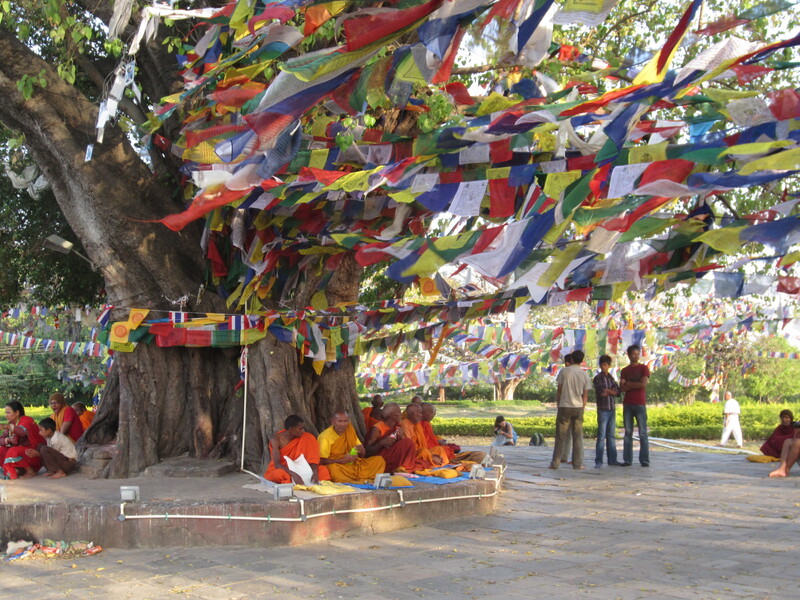 Several centuries after his birth, King Ashoka identified the Buddha’s bodhi birth tree in the area of Lumbini Village. 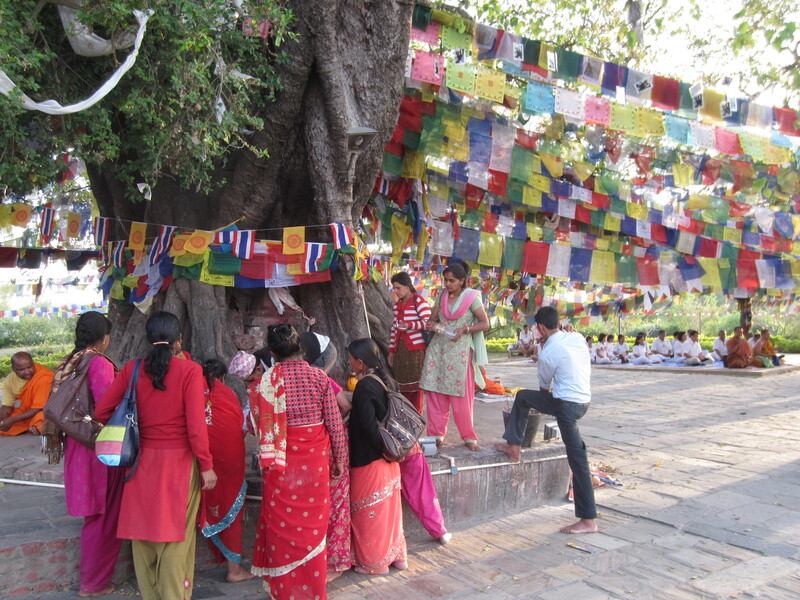 He placed a stone to mark the exact location of the birth, and knocked the tax burden of the Lumbini villagers down to one-eighth of its previous levels. Not a bad windfall for living near a tree. I should mention that Siddhartha is thought to have emerged from his mother’s armpit, which might explain her death seven days later. 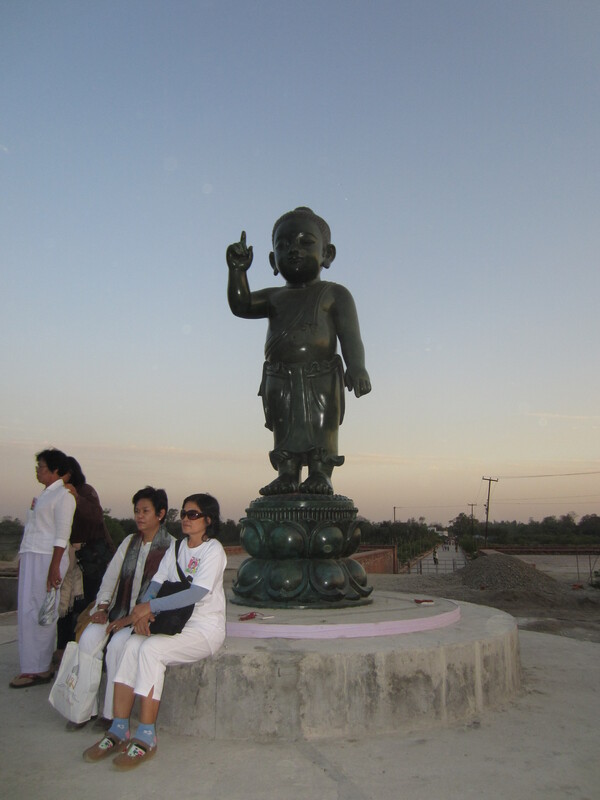 We had the opportunity to visit the birthplace of the Buddha, and to observe that the armpit theme is alive and well in both the village of Lumbini and in the sprawling Lumbini Development Zone that surrounds the spot demarcated by King Ashoka many centuries ago. The village consists of a mosquito infested, one block dirt road lined with dark, flea bag hostels and a few trinket shops. 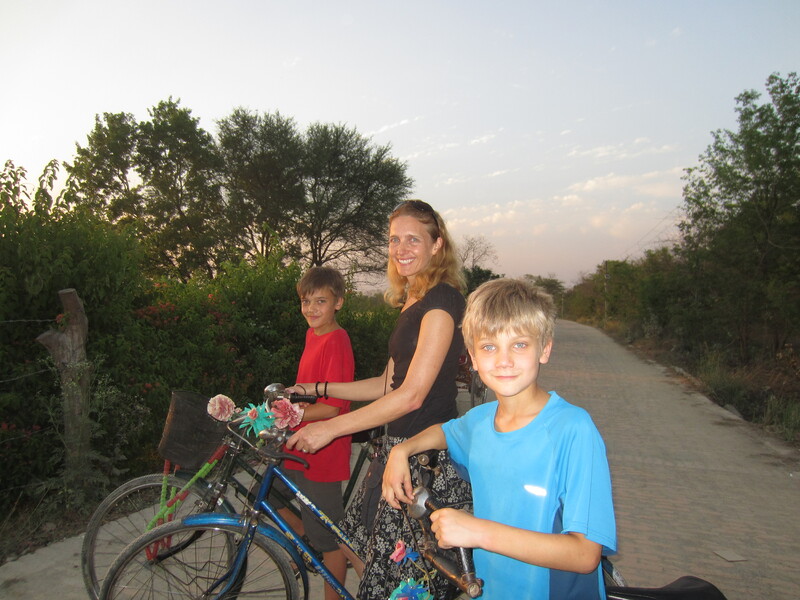 During our stay a “dharma story” consisting of spoken word, ‘singing’ and musical accompaniment (that reminded me of my children’s pre-school winter concerts) was blasting through a village-wide PA system of speakers starting at dawn and continuing into the night. Static, distortion and an overly long and wandering storyline seemed to be the main thrusts, but, not being able to speak Nepali, this was difficult to confirm. We spent two sleepless nights swatting at buzzing, pesky, blood sucking bastards, and we have resumed our anti-malarial intake. 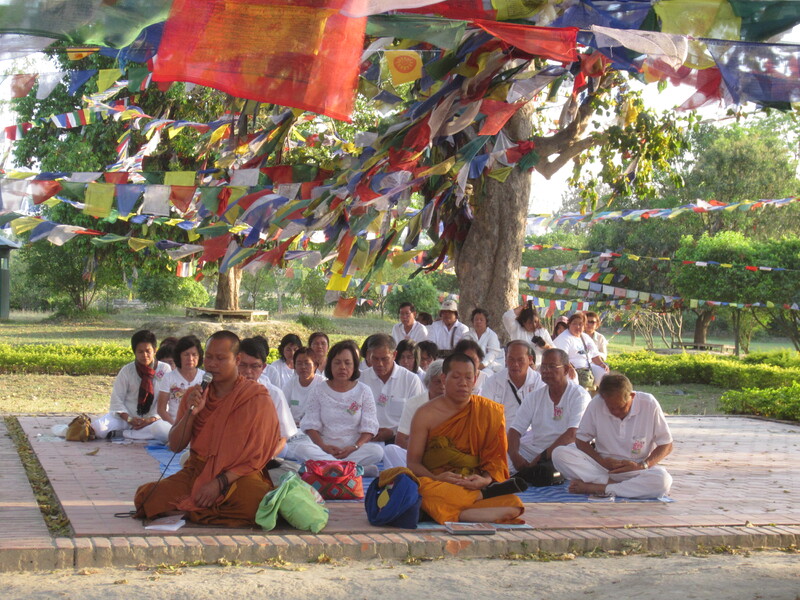 The Lumbini Development Zone is a walled compound of several hundred acres that encompasses the “birthplace” (now covered by a dark building meant to preserve the exact spot); a long, narrow reflecting pool (in which two speedboats sat ready to buzz passengers up and down its length); which divides the western monastic zone (in which massive monasteries have been built by countries practicing the crimson-robed, Mahayana branch of Buddhism (eg, China and Korea)) from the eastern monastic zone (in which only slightly less massive monasteries have been built by the saffron-robed Theravada countries (eg, Thailand and Sri Lanka)); and, amidst a maze of road and path construction, appropriately placed in the center of this armpit, sits a bizarre statue meant to depict the Buddha and the pose he struck immediately upon being born (see photo below). One cannot help but wonder what our friend might do, or say, if he returned to this spot today. WWBD? Probably, say WTF?!? !